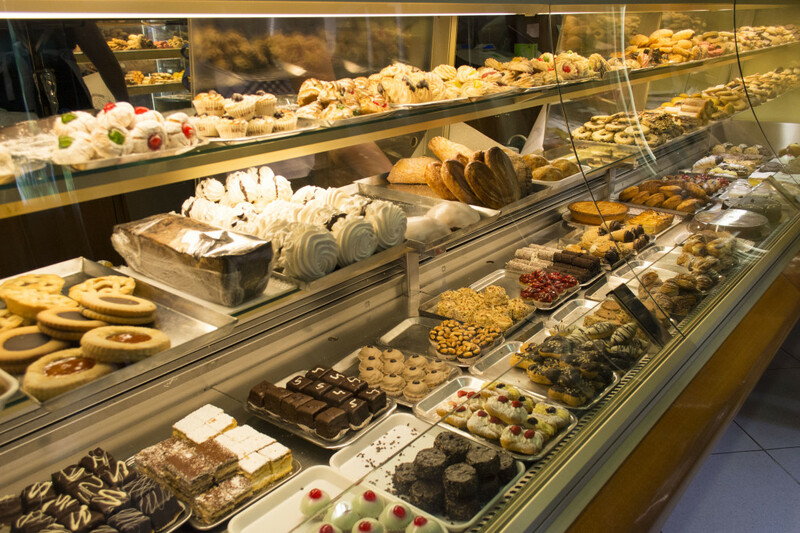 When I asked my husband what he wanted for Father’s Day his reply was, “Pastries from Monica’s.” On our recent trip to Italy, my husband walked to Monica’s pastry shop almost every day. He had to get there early or his favorite breakfast treats were gone. Everything in this pastry shop was delicious. Since I couldn’t get what he wanted, I decided to try my hand at making my own pastries. I actually was excited because I have never tried to make pastry dough. I wanted them to be as healthy as possible so I looked for a recipe in the King Arthur Flour’s Whole Grain Baking cookbook. Whole Grain Danish Pastry was the recipe I chose. They came out quite well. My husband loved them even though they were not exactly like what we had in Italy. In the mixing bowl of a stand mixer, combine the whole wheat pastry flour and the water. Let the mixture sit for 30 minutes to soften the wheat bran. After 30 minutes, mix in the eggs, melted butter, organic sugar, salt, yeast, vanilla and spices. Whisk the nonfat dry milk into 1 cup of bread flour, and mix it into the dough. Switch to a dough hook, add the rest of the bread flour, and knead the dough until it comes together and is smooth, 4 to 6 minutes. 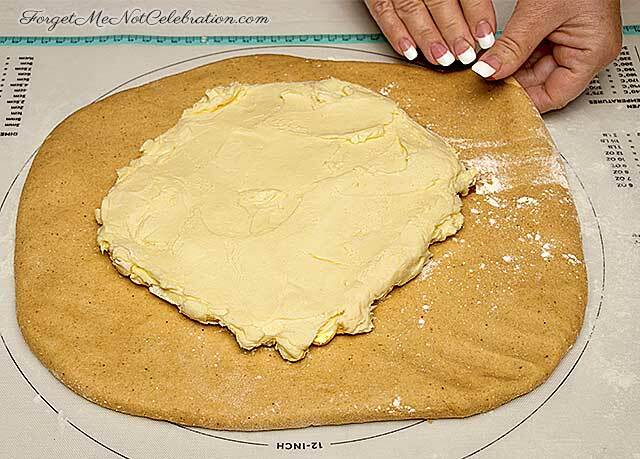 Remove the dough from the mixing bowl, pat it into a 9” square, wrap loosely, and refrigerate for 30 minutes. Using a mixer, a food processor or a spoon, mix the butter and the flour until smooth and well blended. Do not incorporate too much air into the butter; it shouldn’t be fluffy. Lightly flour a piece of plastic wrap or wax paper and place the butter mixture on it. Pat the butter into an 8” square. Cover the butter and refrigerate it for 30 minutes. Pat the dough into a 12” square. Place the butter square in the center at a 45 degree angle. Bring the flaps of dough up and over the butter like an envelope around a letter. Pinch the seams together. Wet the seams to ensure a tight seal. 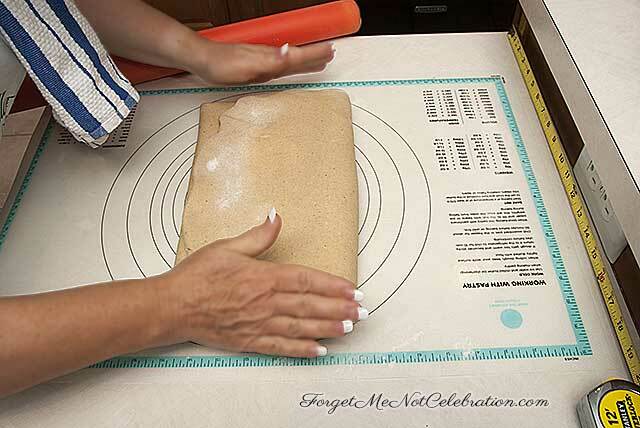 Roll the dough out to a 20” x 10” rectangle. 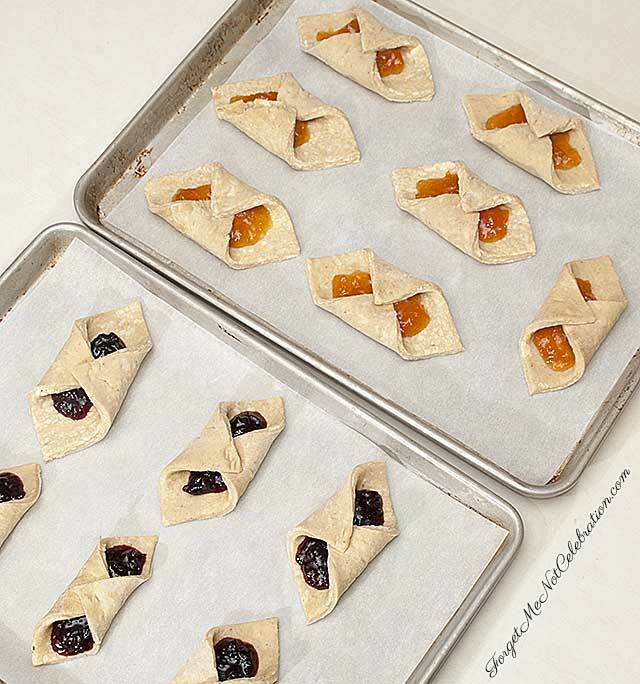 Fold the bottom third of the dough up and the top third down like folding a business letter. Make sure the edges line up neatly. Turn the dough 90 degrees, and repeat the rolling and folding process above. Notice how the butter is spreading out to make all those luscious layers. When you are done, the dough has been turned two times. The dough should have 4 turns altogether. Wrap the dough loosely after the last turn to give the dough room to expand. Refrigerate for 2 hours or overnight preferably. Preheat the oven to 400 degrees F. Lightly grease or line with parchment paper two baking sheets. 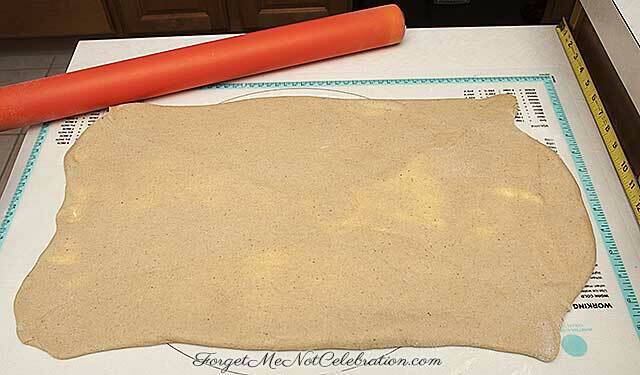 Roll the pastry dough to a rectangle 17” x 24”. Trim ½” around the outside edge of the dough. Cut the dough into 4” squares. You should get 24 squares. With one of the four corners pointing up, place two teaspoons of your favorite jam in the center of the square. Fold the sides of the square together and wet the edges of the dough with water. Pinch together. Place on the baking sheet. For the chocolate Danish, place one ounce of chocolate in the center and follow the finishing instructions above. Let the pastries rise for 30 minutes. Brush them with a beaten egg and bake for 18 to 22 minutes, until the Danish are a deep golden brown. Cool for 10 minutes. 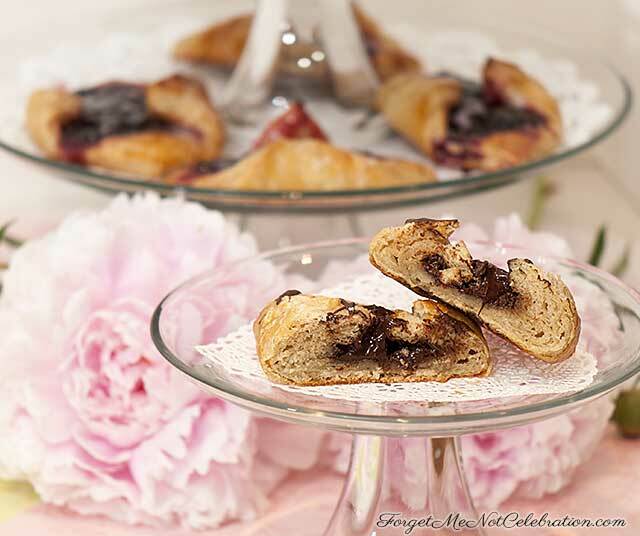 Drizzle the fruit Danish with a glaze made from confectioner’s sugar and milk. 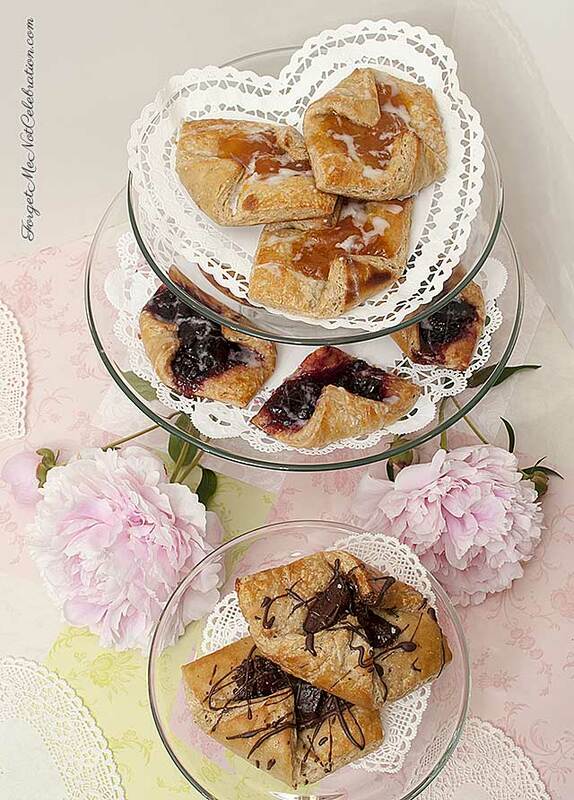 Glaze the chocolate Danish with melted chocolate and sprinkle with sea salt. Notice the flaky layers of the pastry. MAKING THE DOUGH: In the mixing bowl of a stand mixer, combine the whole wheat pastry flour and the water. Let the mixture sit for 30 minutes to soften the wheat bran. BUTTER INLAY: Using a mixer, a food processor or a spoon, mix the butter and the flour until smooth and well blended. 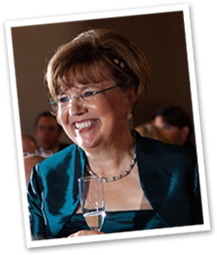 Do not incorporate too much air into the butter; it shouldn’t be fluffy. 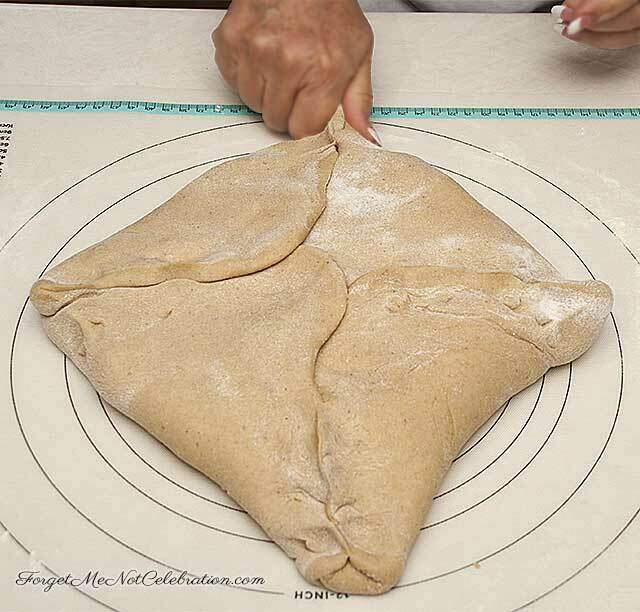 ROLLING AND FOLDING: Pat the dough into a 12” square. Place the butter square in the center at a 45 degree angle. 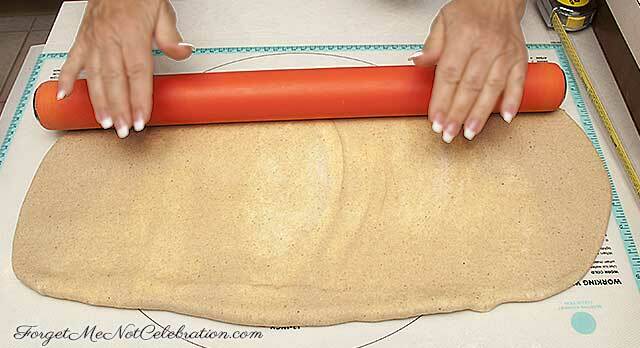 Roll the dough out to a 20” x 10” rectangle. 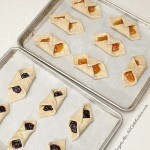 Fold the bottom third of the dough up and the top third down like folding a business letter. Make sure the edges line up neatly. Turn the dough 90 degrees, and repeat the rolling and folding process above. ASSEMBLING THE DANISH: Preheat the oven to 400 degrees F. Lightly grease or line with parchment paper two baking sheets. Drizzle the fruit Danish with a glaze made from confectioner’s sugar and milk. Glaze the chocolate Danish with melted chocolate and sprinkle with sea salt. Enjoy! 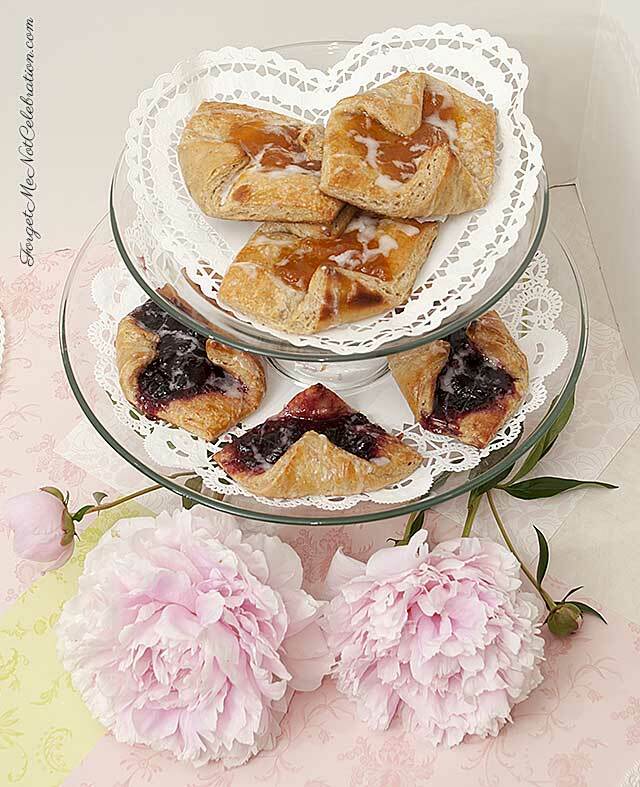 The danishes are delicious and have my favorite fillings. Thank you my dear.